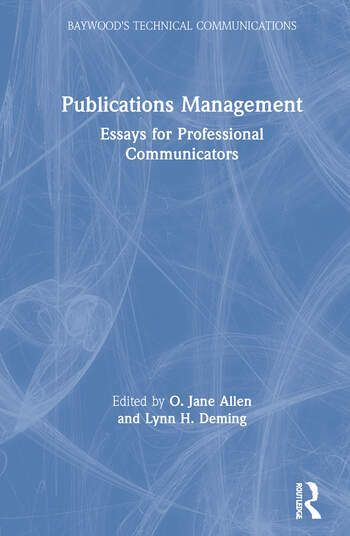 "Publications Management: Essays for Professional Communicators" is a collection of essays designed for use in academic programs in technical and professional communication and for communication professionals in the workplace. The contributors include publications managers in the workplace and academics who teach in technical and professional communication programs. Their multiple perspectives offer a broad introduction to some of the important issues publications.